← Arbor Heights “Emergency Reach Out” event is next Saturday! Hope you’ll take a few minutes tomorrow to participate in this Shakeout Washington earthquake safety drill! As we noted earlier on our Facebook page, practicing your response skills it a good way to ensure that you can react more quickly during an actual emergency. As well, it can be helpful to evaluate the locations where you typically spend your time to make sure that you can take safe action if an earthquake occurred while you are there. Join in the Great Washington Shakeout on October 18th! 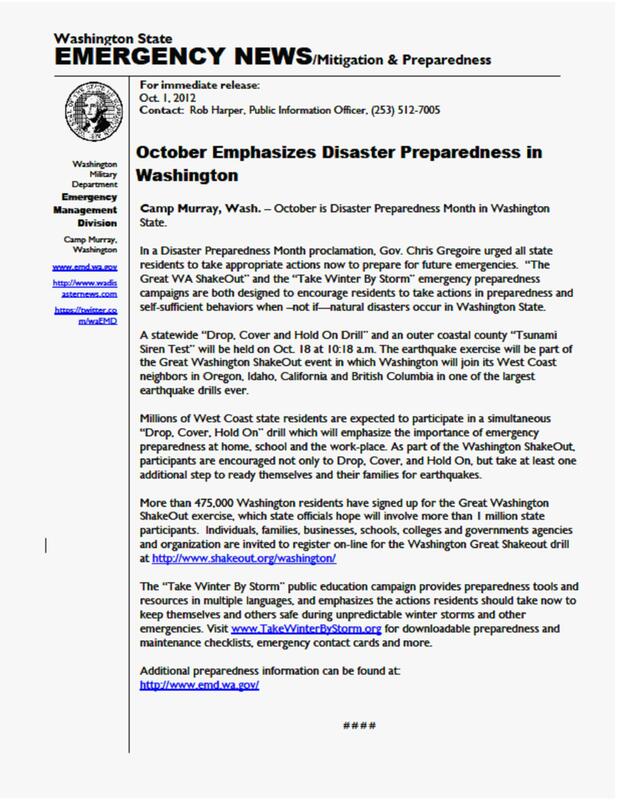 This entry was posted in Announcements, Earthquake Preparedness, Events and tagged disaster preparedness, earthquake preparedness, Shakeout Washington. Bookmark the permalink.